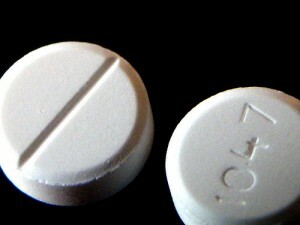 The role of the traditional antidepressants in the treatment of depression in bipolar illness remains controversial. Despite mounting evidence that they are not efficacious in the treatment of bipolar depression, they are still among the most widely used treatments for that condition. 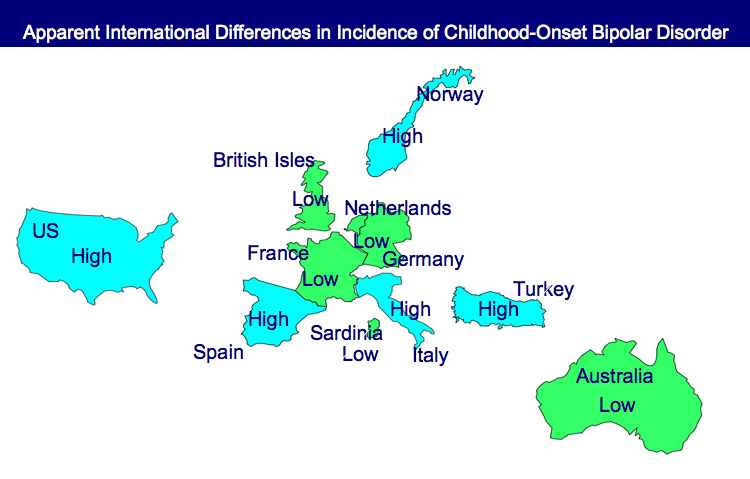 At the first biennial conference of the International Society for Bipolar Disorders held in Istanbul this past March, Mark A. Frye and Shigenobu Kanba chaired a symposium on antidepressant-induced mania and individualized treatment for bipolar depression. This editor (Robert M. Post) discussed factors influencing antidepressants’ effects on patients with bipolar depression. In a recent meta-analysis, researchers Sidor and MacQueen reviewed data from studies encompassing 2373 patients with bipolar depression and found that antidepressants had no significant benefits over placebo on measures of response or remission. Pooled estimates for a thousand patients showed no increase in patients’ risk of switching into mania after treating with antidepressants. However, in a smaller sub-analysis, the risks of switching into mania following treatment with the older tricyclic antidepressants (43%) and venlafaxine (15%) was greater than the risk of switching after being treated with SSRIs (7%) or bupropion (5%). There is a conundrum in the literature. While antidepressants don’t work very well in bipolar depression, there is a small subgroup of patients who, having responded well to antidepressants for two months, benefit more from continuing the antidepressant treatment than from discontinuing the drug. Continued treatment with adjunctive antidepressants (added to regular treatment with a mood stabilizer or an atypical antipsychotic) was associated with fewer relapses into depression over the next year when the antidepressants were continued compared to when they were discontinued. Lori Altshuler et al. have published two uncontrolled studies to this effect, Russell Joffe et al. have published one, and a more recent randomized study of this by Nassir Ghaemi replicated some of the results in patients who had non-rapid-cycling bipolar disorder. At the same time, the literature shows that there are number of risk factors for switching into hypomania during antidepressant treatment in bipolar depression. An article by Lori Altshuler et al. (including this editor Robert M. Post) published in the American Journal of Psychiatry in 2010 presents research that among bipolar patients studied over a period of 7 years, women spent more time than men depressed. Women had higher rates of rapid cycling and of anxiety disorders, both of which were associated to higher rates of depression. 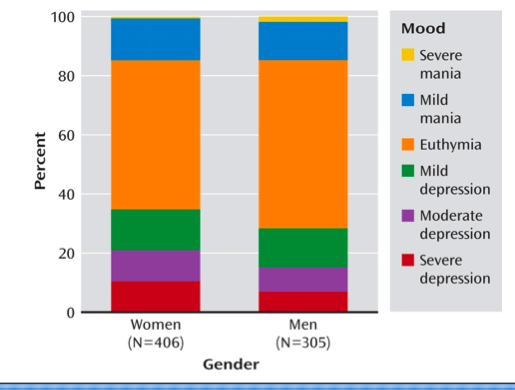 Proportion of Time Spent Ill During Clinical Visits for Women and Men With Bipolar I or II Disorder (N=711)aaWomen and men, 35.6% compared with 28.7% of visits depressed; 50.4% compared with 56.9% of visits euthymic; 14.1% compared with 14.4% of visits hypomanic or manic. Kellen and colleagues presented a poster at the 9th International Conference on Bipolar Disorder (ICBD) held in Pittsburgh in 2011, in which they reported that 21% of patients with rapid cycling bipolar disorder have confirmed sleep apnea. Since many patients who screened positive for sleep apnea on the study’s sleep questionnaire did not undergo follow-up sleep studies to confirm the diagnosis, it is estimated that up to 40% of rapid cycling patients may, in fact, have sleep apnea. Editor’s note: Given such a high incidence of sleep apnea among rapid cycling bipolar patients, it would be prudent for patients and clinicians to be alert to the possibility of sleep apnea and follow up with appropriate sleep studies. 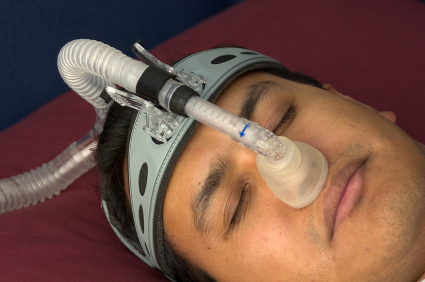 Sleep apnea can cause daytime fatigue, cognitive dysfunction, and treatment resistance, so its identification and treatment with continuous positive airway pressure (CPAP) may be enormously beneficial to a substantial number of rapid cycling bipolar patients. A just-published article by Sukys-Claudino in Sleep Medicine presents findings that compared to placebo, the anti-Alzheimer’s drug donepezil (Aricept) started at 5mg/day for 2 weeks and then increased to 10 mg given twice a day (20 mg/day total) helped all measures of sleep apnea including daytime sleepiness. Clinical hints that a patient may be suffering from sleep apnea include loud snoring, long pauses between breaths, and non-restorative sleep. The likelihood of sleep apnea increases with age and with overweight or obesity.